Multifunctioneel, extreem stevig flex-statief Als andere statieven het niet aan kunnen, is het mantona-armadillo flex-statief de oplossing. Dit compacte en lichte statief is de ideale partner voor uw fototoestellen. The mantona armadillo simply offers more of everything. 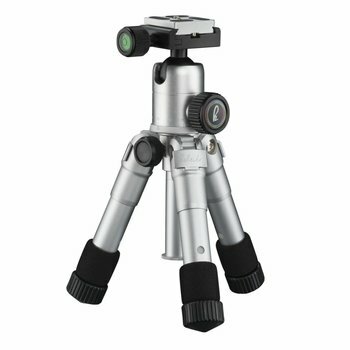 You can safely attach medium-weight cameras or camcorders weighing up to 3 kg on this tripod. The leg construction is thoroughly robust and the tripod has a very sturdy leg and ball head slot. 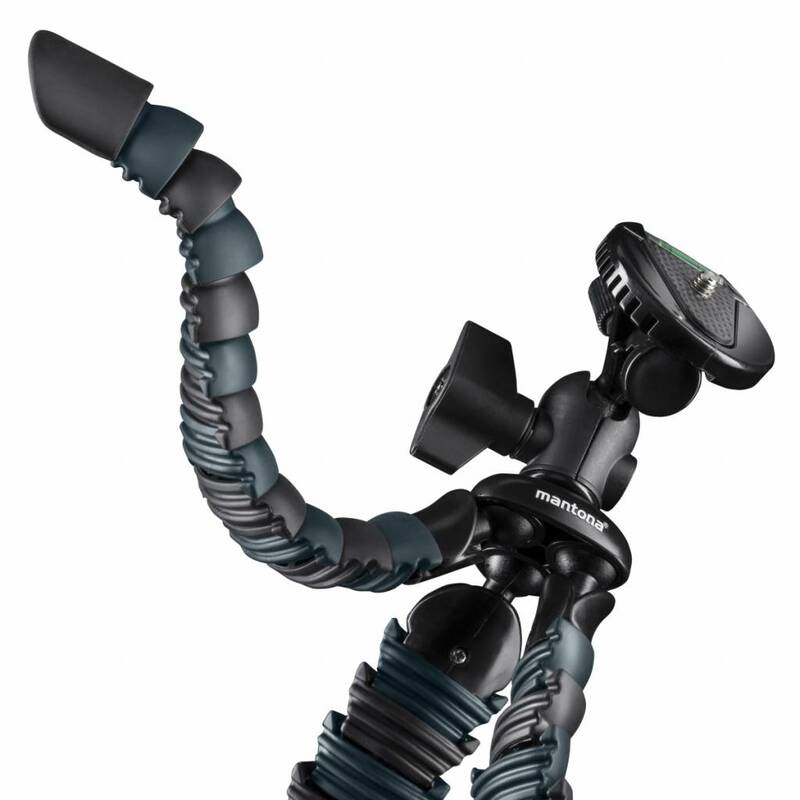 The ball head of the armadillo is a real highlight and combines clever and practical solutions. The ball head can be rotated 360° and the large fixation screw combines simple handling with high retention force. The format can be changed in an instant thanks to the U-shaped indentation in the ball head. The inbuilt quick-release plate can be loosened in a flash using the quick-action lock. Your equipment can be attached with ease to the incorporated 1/4-inch thread connector. Inserting and removing the quick-release plate is foolproof because the quick-release plate has guide rails that mean that it can carry an impressive weight of up to 3 kg. A bubble level will make it easier for you to adjust your equipment, and the quick-release plate can be secured using a separate locking screw to prevent it from falling off. The attached equipment cannot come loose, even if it is heavy, and will sit securely and reliably in place. The armadillo DSLR tripod, with its folded dimensions of 52 x 65 x 290 mm, is compact and is very light, weighing just 265 g. It can be put away in almost any bag and taken almost anywhere. 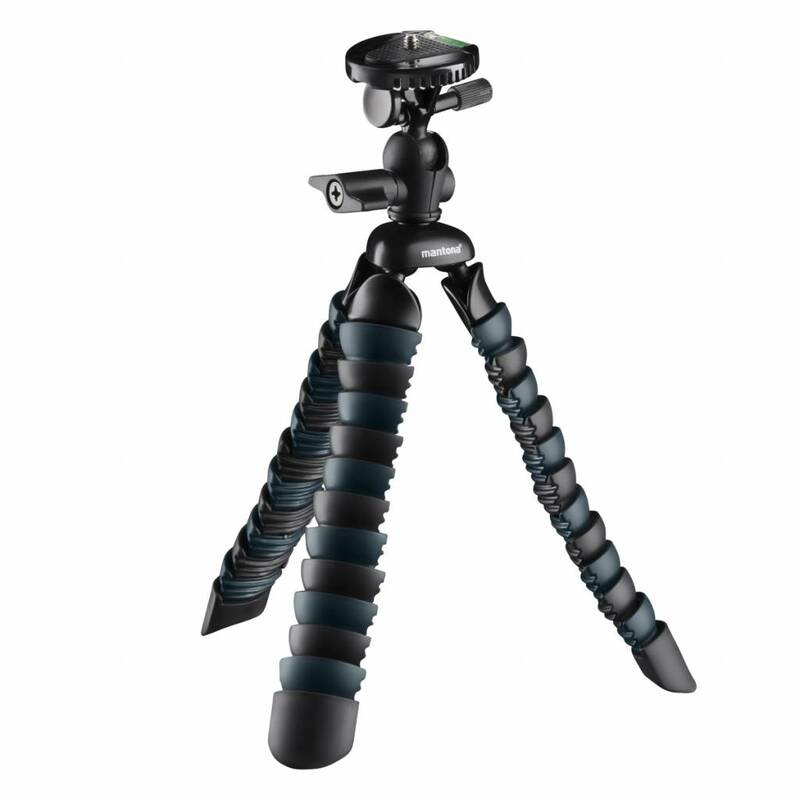 The armadillo tripod is almost impressive as a table or hand tripod. Thanks to the steady legs and non-slip rubber feet, the armadillo can also be used as a mini or table tripod. The working height is from approx. 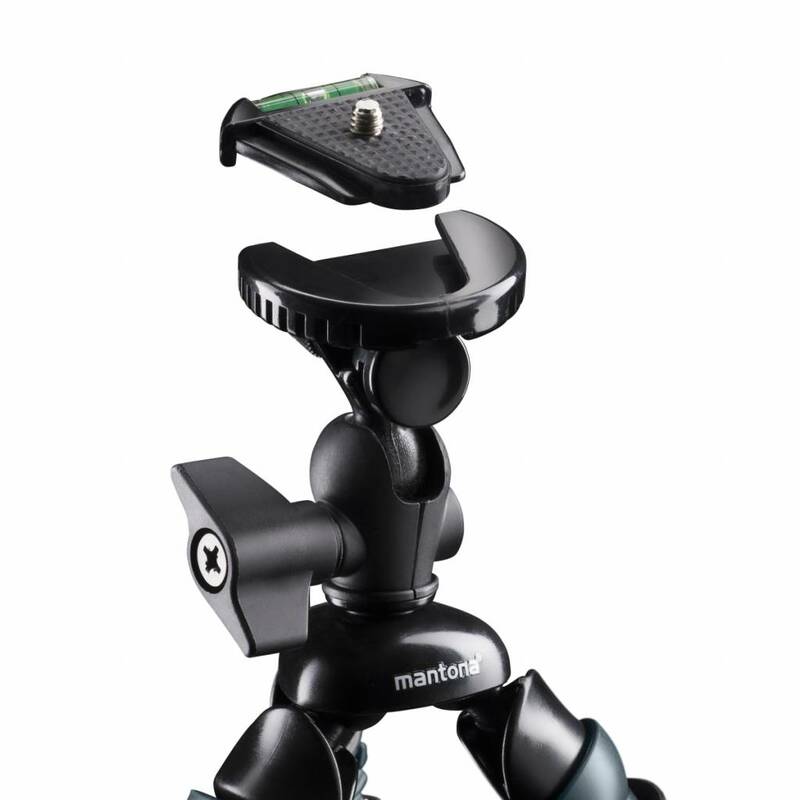 8 to 28 cm depending on the leg angle and the ball head adjustment. 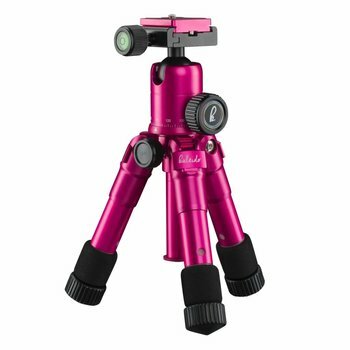 Whether for micro shots close to the ground or longer exposure times, using this tripod will ensure optimum results. When used as a hand tripod, the soft “scales” on the legs of the armadillo ensure a pleasant feel. 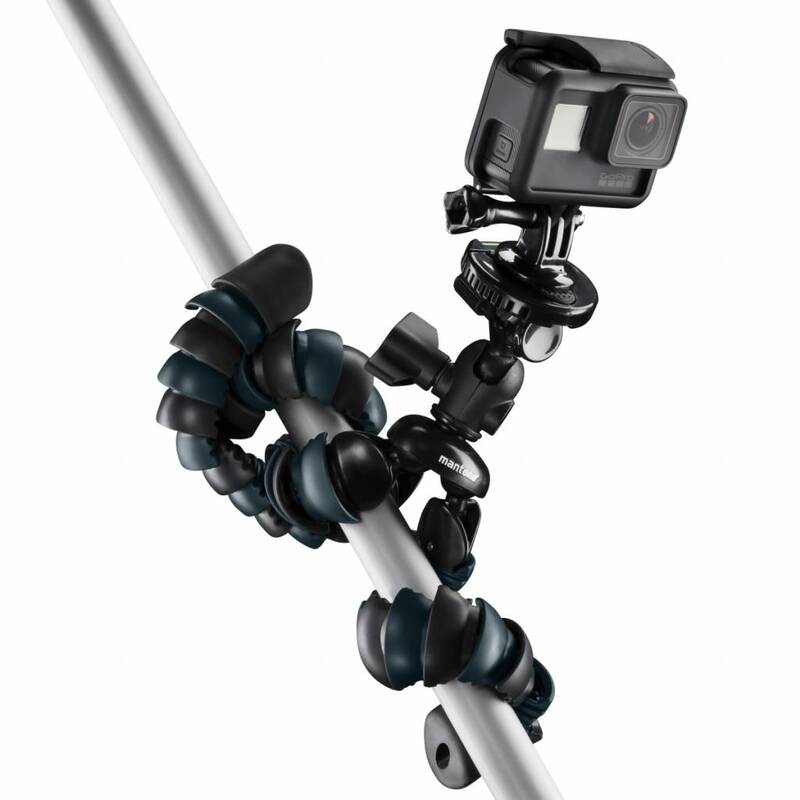 You can, of course, attach smartphones or action cams to the armadillo DLSR. The necessary mounts and adapters for the 1/4-inch connector of the quick-release plate are included as standard. There’ll be nothing stopping you from now on from taking spontaneous shots with your smartphone or action cam.